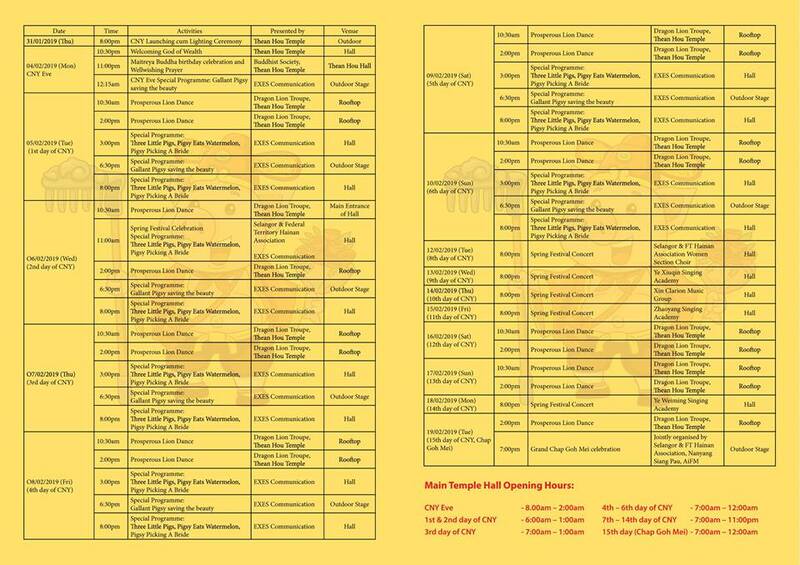 Free Entrance for Pigsy Show(drama), 24-season(solar terms) paper cutting art decoration,Bonsai Exhibition etc. 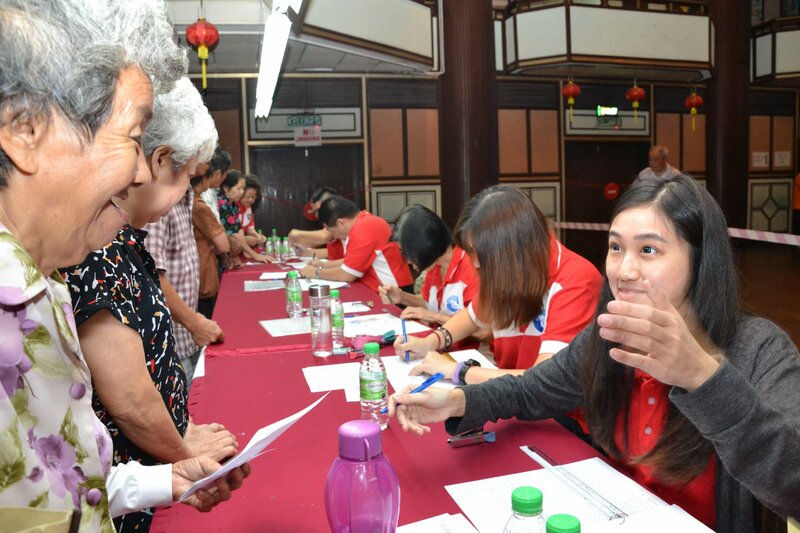 In the coming ‘Jihai’lunar new year in 2019, the Selangor and Federal Territory Hainan Association (Thean Hou Temple) will be lining up a string of activities with one of the main characters in the renowned novel ‘Pilgrimage to the West’ – Pigsy, alongside with 24-season(solar terms) paper-cutting art decoration, mural(street art), bonsai and many scenic spots, bringing you an extraordinary experience of the spring season. ‘Pilgrimage to the West’ is one of the four great novels Chinese literature and Pigsy is one of the renowned characters. 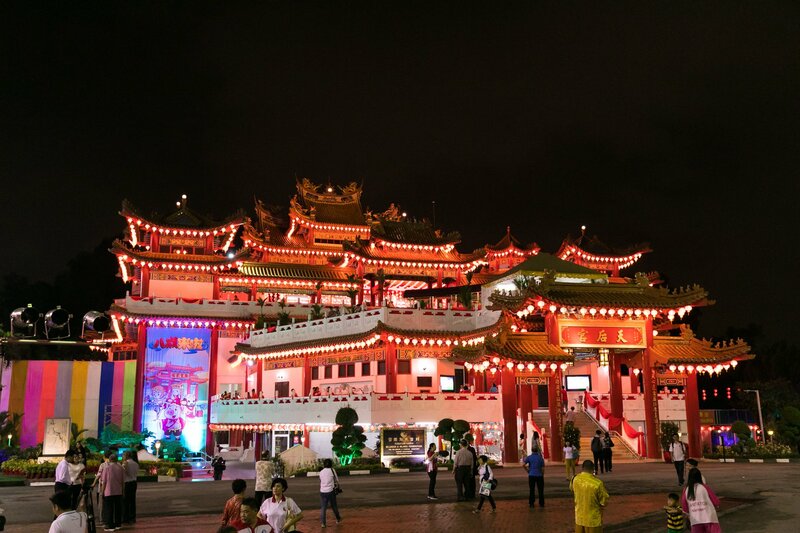 Therefore, the Selangor and FT Hainan Association (Thean Hou Temple) which has been rigorously promoting Chinese culture, has highlighted the Pigsy character. Through the 24-season(solar terms) paper cutting art decoration, showcasing Master Tang’s numerous challenges on the route to West together with his disciples. 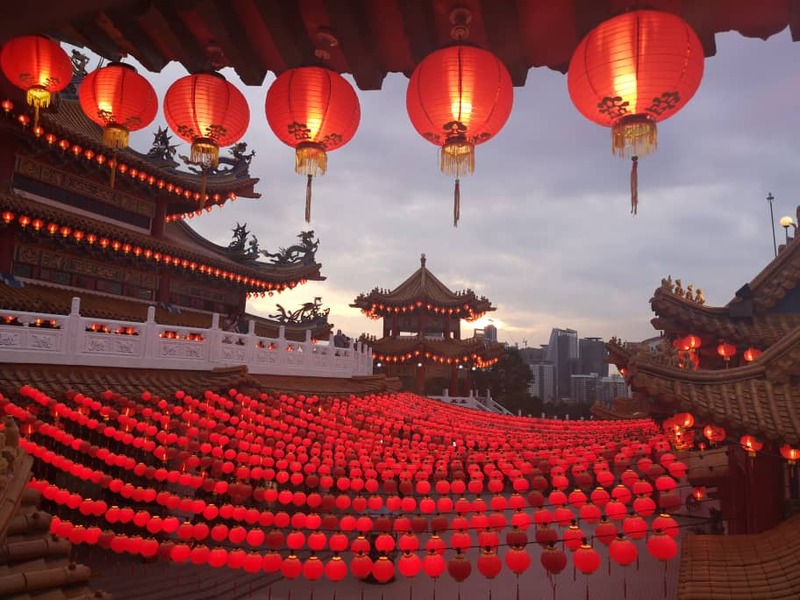 The ‘Jihai’ lunar new year programmes are divided into three parts, namely indoor stage performances, outdoor street cultural performances and also outdoor artistic decoration and exhibition. The literary and artistic showcase is undertaken by Masters 謝裕強and 黃福泉 whereas EXES Communication is responsible for the spring festival theme; Sasaran Art Society shall produce the 24-season(solar terms) paper-cutting decoration and the Malaysian Bonsai & Suiseki Association and the Selangor and FT Hainan Association will jointly organise the Bonsai and boutique items exhibition. 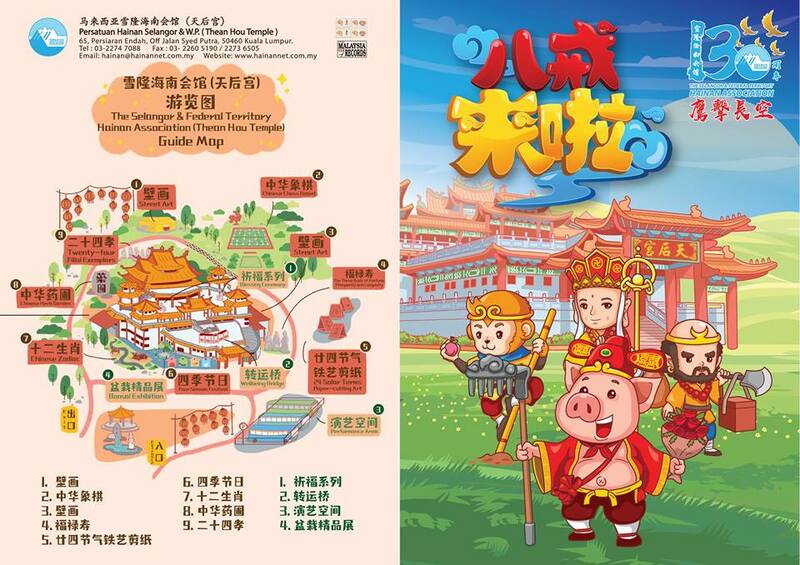 The indoor stage performance consists of ‘three little pigs’ dance drama, ‘Pigsy eats watermelon’ sketch and another drama of ‘Pigsy picking a bride’. 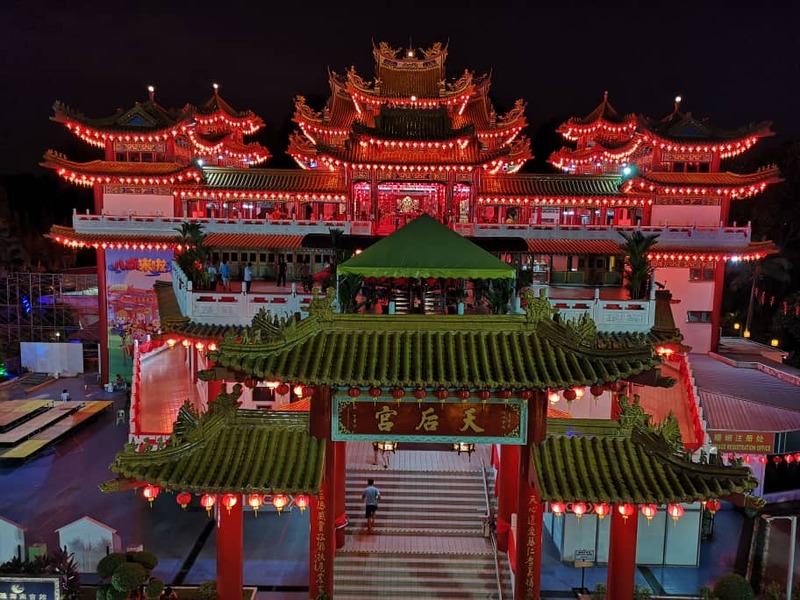 Before the performances, the introductory videos of Thean Hou Temple, 12 zodiac signs and 24 seasons(solar terms) will be screened, so that the public will have a better understanding of the artistic decoration of Thean Hou Temple. The outdoor cultural and art performances will feature the theme of ‘Gallant Pigsy saving the beauty’, bride-snatching (street procession), percussion band procession and acrobatic performance. Besides, the outdoor performing team will pass by the 24-season(solar terms) paper-cutting exhibition area and lead the crowd into the hall to subsequently enjoy the indoor stage performances. As for the 24-season(solar terms) paper-cutting artistic decoration, it will be showcased in front of the Thean Hou Temple arch, beside the marriage registration office and at the Chinese chess area. The decoration aims at enabling the Chinese descendants to understand the agricultural seasonal method used by their ancestors before the invention of calendar. The 24-season (solar terms)paper-cutting decoration will be arranged by the seasons of spring, summer, winter and autumn, so that the younger generation would understand the transformation of the four major seasons and festivals. The bonsai exhibition area will features the masterpieces of bonsai enthusiasts at the blue floor tiles area of Thean Hou Temple. The bonsai cultivators will showcase about 30 of their spring season bonsais so that the public will be able to appreciate the ‘small featuring large’ artistic motif, savouring the magnificent colourful world being epitomised into a bonsai art piece. Besides appreciating refined matters, an elegant culture could be cultivated. The bonsai exhibition will be held from 3rd – 11th February. With the four-season 2D festival backdrop, this is certainly a great spot for photography. At the same time, mural beside the marriage registration office and activity centre is another spot for photo-shooting. It also leads visitors to the 24 filial-petty sculpture area to learn about the stories of filial-petty. Finally, visitors can stop by the Chinese Herb Garden to learn about the wisdom of our ancestors in utilising herbal medicines before the advancement of science and technology.